In its 2016, most recent, annual report, the Commission for the Control of INTERPOL’s Files cites an increase in the number of complaints from refugees and for the first time in its annual public disclosures recognizes politically motivated prosecutions of businessmen among the main issues before it. Although notable, the increase in complaints from refugees was expected. In June 2014, the INTERPOL Executive Committee introduced a policy, which provided refugees with a somewhat simplified path to red-notice-free status. It isn’t surprising, therefore, that more refugees have been petitioning INTERPOL to delete their information from its files. However, that INTERPOL has finally publicly named politically motivated red notices issued against businessmen among its main issues is a very important development. For a long time, long before the Commission’s 2016 report, entrepreneurs have been among the main targets of INTERPOL red notice abuse. Nevertheless, INTERPOL would not admit the problem to the general public. Instead, human rights advocates and the media reported multiple individual cases. 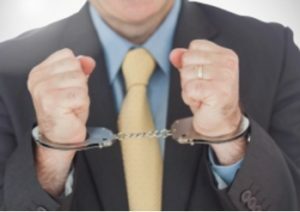 Entrepreneurs who take on an active role in politics or find themselves in a dispute with a government or with someone closely connected to the government often become victims of corrupt prosecutions based on trumped-up charges. Such prosecutions are regularly used to retaliate against entrepreneurs who refuse to cease their political activities, give up their business interests, or abandon legitimate civil lawsuits or administrative or criminal complaints. Entrepreneurs who manage to leave their countries before the government restricts their freedom of movement are often arrested abroad, placed in extradition proceedings, find themselves unable to travel, do business, or simply open a personal bank account due to the red notice or diffusion recorded in INTERPOL’s files. Article 2 of the INTERPOL Constitution requires international police cooperation to be conducted in accordance with the member countries’ national laws and in the spirit of the Universal Declaration of Human Rights, and Article 3 strictly forbids INTERPOL to undertake any “intervention or activities of a political, military, religious or racial character.” An individual on the INTERPOL wanted list who believes that in the course of the criminal case the government violated the country’s laws, the Universal Declaration of Human Rights, or prosecuted the individual for her or his political beliefs should consider invoking Article 2 or Article 3 or both. In addition, entrepreneurs should consider the “private disputes” provision of the INTERPOL Rules on the Processing of Data. The provision prohibits the publication of a red notice if the offense behind it derives from a private dispute, “unless the criminal activity is aimed at facilitating a serious crime or is suspected of being connected to organized crime.” Some of the Commission’s decisions regarding red notices and diffusions issued against entrepreneurs suggest that entrepreneurs may indeed benefit from the “private disputes” provision, for example, when a red notice or diffusion arises from a dispute of a civil, rather than criminal, nature and, therefore, must be resolved in the course of a civil, rather than criminal, trial. The INTERPOL Repository of Practice contains very useful information about INTERPOL’s application of Article 3 to red notices and diffusions issued in a political context, including charges against current and former politicians, offences concerning freedom of expression, assembly, and association, security of the state, unconstitutional seizure of power, embargo and sanctions, and elections. Since 2014, the Commission for the Control of INTERPOL’s Files has seen an increase in the number of complaints alleging violations of the Universal Declaration of Human Rights. In this regard, INTERPOL has yet to compile a repository of practice on Article 2 of the Constitution, although the Commission has already started developing its own “case law” in this area. Now, that the Commission has recognized unlawful prosecutions of businessmen among the main issues before it, it is time for the Commission and INTERPOL to admit that the “private disputes” provision needs its own repository of practice. Indeed, when engaging in corrupt prosecutions, governments often charge entrepreneurs with crimes of a business nature that may look like they are related to the entrepreneur’s professional activities and thereby lend the criminal case some appearance of legitimacy but in fact are used to illegally transform what really is a civil private dispute into a criminal case. It is, therefore, crucial for INTERPOL and the Commission to be transparent about how they interpret and apply the “private disputes” provision and for that purpose compile, publish, and constantly update a detailed repository of practice.